Artists have always had a tough time finding bright, generous, inexpensive studio and exhibition space in New York. So in the flourishing city of the late 19th century—with the population bursting and Manhattan filling up in every direction—studio buildings that were specifically designed for artists began appearing. 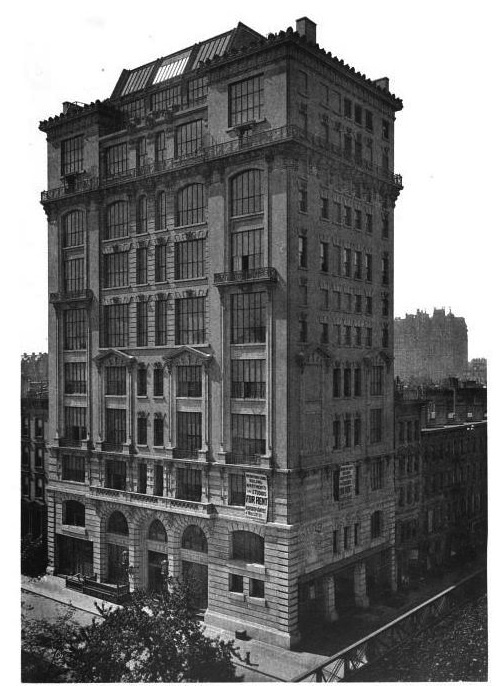 One 12-story studio building constructed in 1900-1901 still stands on Sixth Avenue and 40th Street, at the southwest corner of the recently renamed Bryant Park (until the 1880s, it had been known as Reservoir Square). 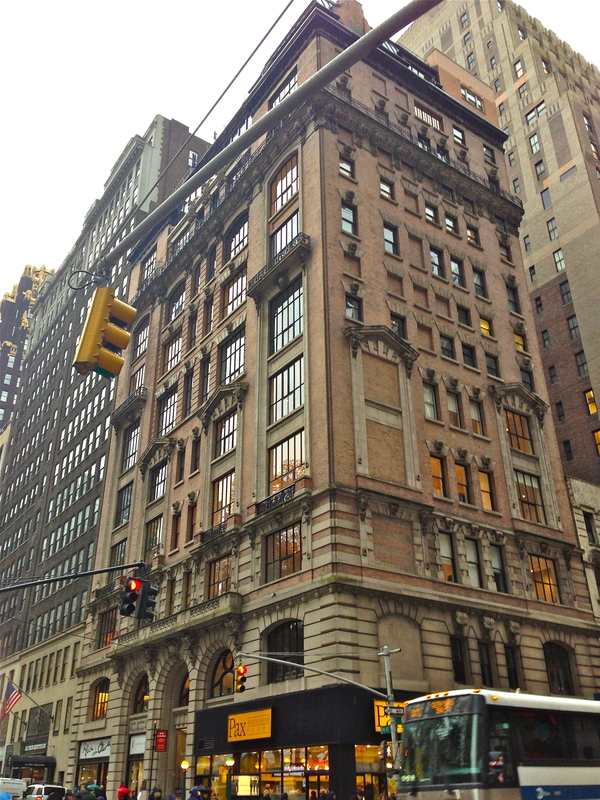 The Bryant Park Studios Building is a lovely structure where Edward Steichen, Fernand Leger, Irving Penn, and other painters and sculptors took advantage of double-height windows and northern light. Today, it’s hard to imagine traffic-choked midtown Manhattan as an artists’ neighborhood. But the light a century ago was uninterrupted, and new studio buildings had also gone up on West 57th Street—making it an “artistic center,” notes this 1988 Neighborhood Preservation Center report. “My business friends said it was a foolish thing to erect so expensive a studio building in what was then the ‘Tenderloin District,'” he wrote. By the middle of the 20th century, the building was repurposed for fashion industry showrooms, though one artist hung on to space she had first occupied decades earlier and had it at least into the 1990s. 1040 Park Avenue, at 86th Street, is a stately Upper East Side co-op. It doesn’t crack a smile—except when it comes to the tortoise and hare friezes that wrap around the third floor facade. 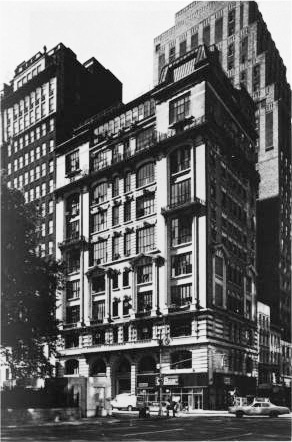 The penthouse was the longtime home of magazine publisher Conde Nast, who invited guests such as George Gershwin, Edna St. Vincent Millay, and Edward Steichen for a housewarming party in 1925, a year after the building opened. 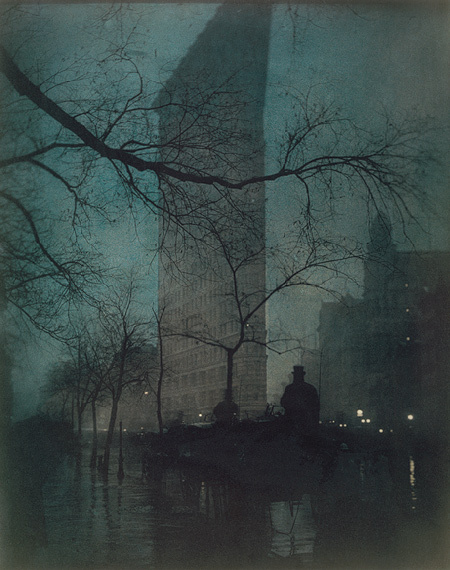 Luxembourg-born American artist Edward Steichen added color to his 1904 photograph of the Flatiron Building, casting it in a moody, blueish glow. Completed in 1902, the Flatiron Building is considered one of New York’s first skyscrapers . . . even though it’s only 22 stories high.